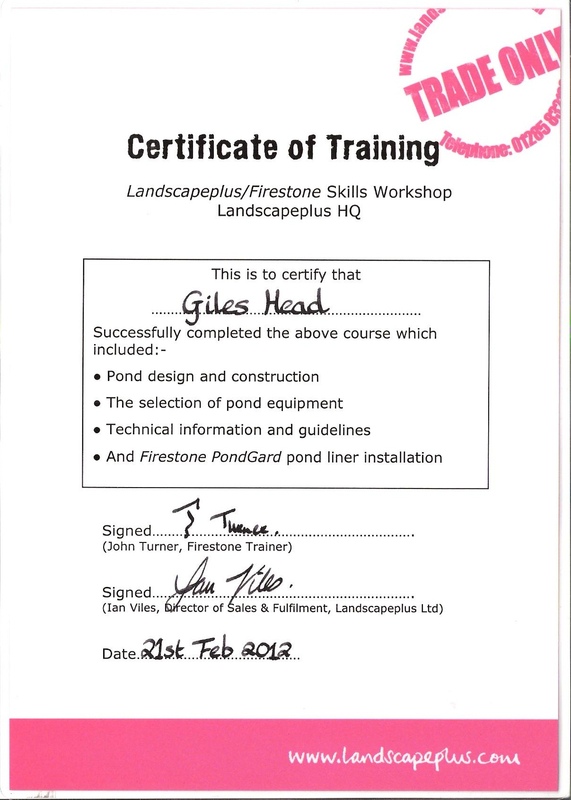 Please see our various certificates and accreditations for the Aquatics industry and beyond. 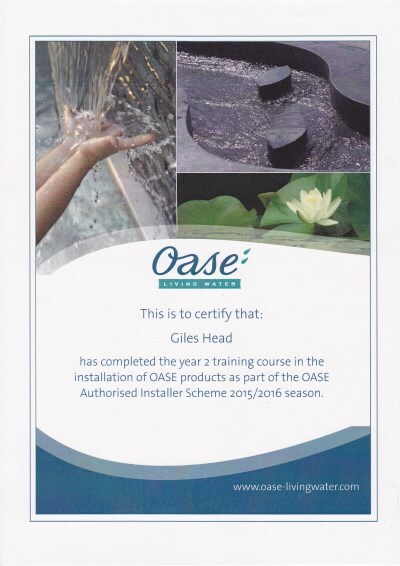 Head Squared Aquatics has completed the Oase Authorised Installer course. 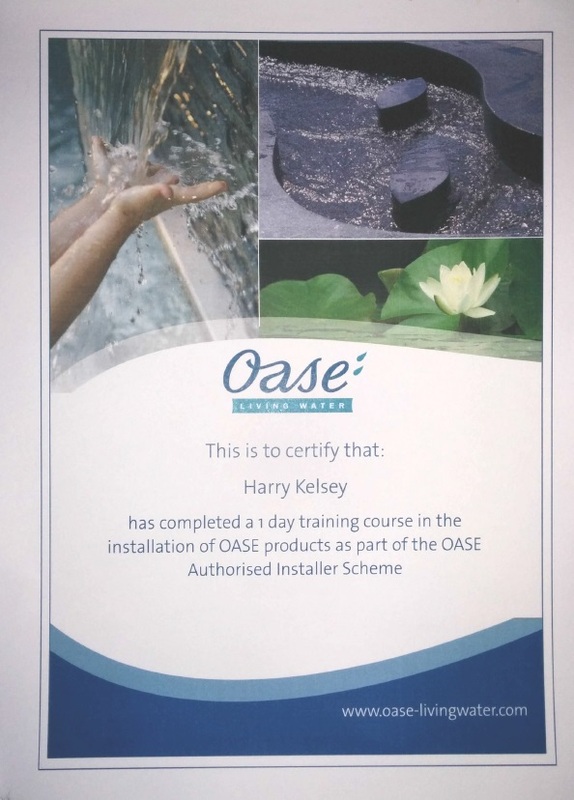 The OASE recommended installer scheme has been created to provide a first-rate water gardening service directly to consumers, whilst helping to promote local landscapers and gardeners. We are members of the Federation of Small Businesses. This organistion helps small businesses to operate effectively and promotes the strengths of small business to the UK economy. 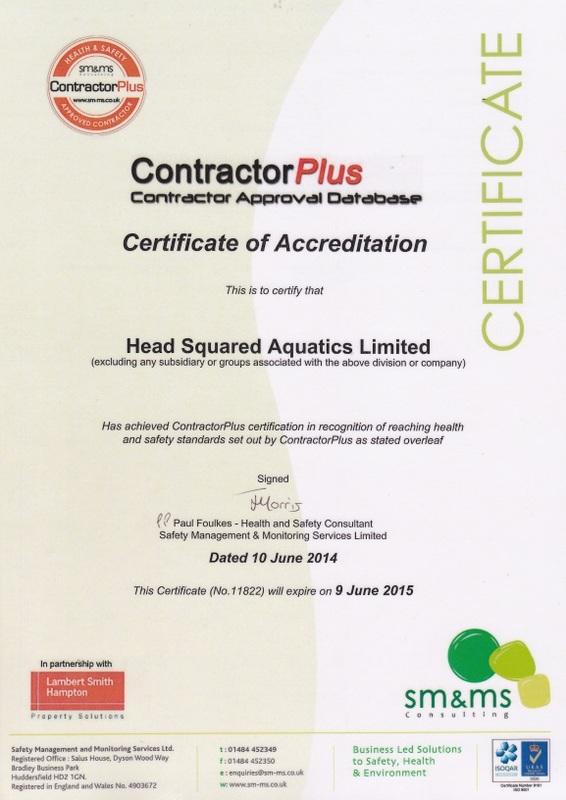 Head Squared Aquatics is proud that it has been approved for the ContractorPlus accreditation scheme. 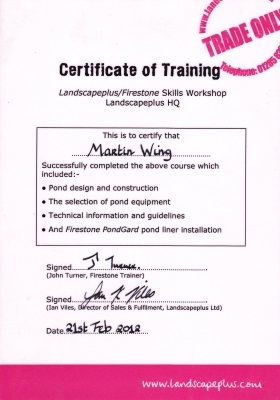 This scheme was set up to ensure the highest standards are required from Contractors with regards health and safety, working practices, environmental policies and relevant insurance.